A while ago, Glasgow was mostly known for its ship building industry, back-door boozers and dunking anything that was edible into a fryer. Now the city has undergone somewhat of a rebirth. As one of the most vibrant, dynamic cities in the UK, Glasgow boasts thousands of eateries, an event calendar to send folk living in other places green-eyed with envy, and a fabulously colourful multicultural environment. Housing stock is being snapped up quicker than ever in the Dear Green Place as the city builds on its 21st century makeover every year. We have a whole host of tourist attractions on offer, but this month we want to give you a glimpse of what it’s like to live here, with a run-down of activities and haunts frequented by locals. Galleries are everywhere in Glasgow but if you’re not on the lookout for them, they can be easy to miss. Hidden among bustling shopping streets or at the top of Glasgow tenement buildings, if you’re not in the know, a lot them won’t be on your radar. We recommend checking out Mary Mary in the city centre and The Vacant Space on Argyle Street. Exhibiting wildly different works from one another, Mary Mary is known for attracting work by international artists, while the latter usually showcases pieces from artists working in Scotland. Both well worth a visit and, if you follow them on social media, you’re likely to spy an exhibition opening which attracts locals…and free booze! The Albion Hotel, of course! 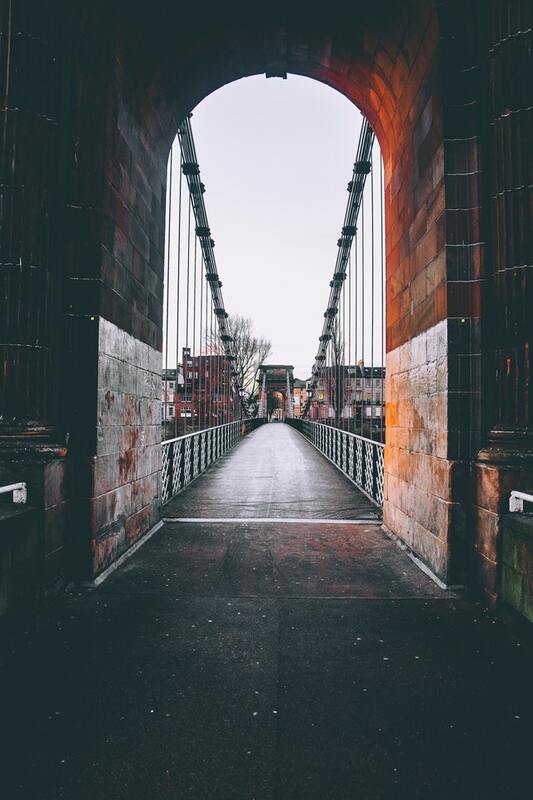 Our residence is within walking distance of two subway stations (which is the preferred mode of transport for Glasgow natives in our area) and just a stone’s throw from the best of the West End, the city’s hippest neighbourhood. Even better, we’ve got a free breakfast deal running throughout January that’ll have your raring to go exploring during your visit. Glasgow is so full-to-bursting with restaurants, it can be almost impossible to decide where to dine out. To get under the skin of the city we suggest going a little off the beaten track. For vegan eats try the Hug and Pint. Named one of Scotland’s best restaurants in 2016, expect contemporary, cruelty-free cuisine plus live entertainment 7 nights a week. For those who enjoy their meat and fish, options abound. Brewdog’s Doghouse in the Merchant City serve plenty of hot wings and smoky burgers, along with 25 lines of craft beer. For a laid-back atmosphere and vintage couches aplenty, head to the Butterfly and Pig on Bath Street – late opening hours make this the perfect spot to dine and drink all night. Finally, if you’re up for dancing, Glasgow has one of the best music and club night scenes north of London (well, we reckon so!). Subclub comes out on top for live DJs, Sanctuary scores points for top ten hits and One Up and Arta cater well to a (slightly!) older crowd.